One of the biggest stories in the Boston sports landscape at the moment, for better or worse, is the Celtics being stuck in an 0-2 hole against the Chicago Bulls in their first-round playoff series. The Celtics, the No. 1 seed, have looked horrific through two games and they are being rightfully doubted. But that isn't stopping Tom Brady from showing his support. Brady took to Instagram with an encouraging message for Isaiah Thomas and his Celtics teammates. 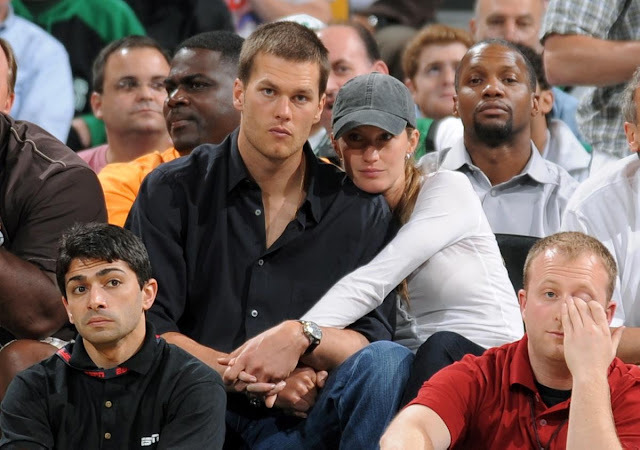 The Celtics are back at it again tonight for Game 3 in Chicago, and we know Brady, who has a great relationship with quite a few Celtics players, will be watching. As you may know, Brady accompanied Danny Ainge and Co. on their Kevin Durant recruiting trip. He also texts with Thomas regularly, so his influence is definitely there. I always really enjoy seeing athletes from the major pro teams in Boston support each other. Brady was at the Bruins game against Washington a week and a half ago, the Kraft's were at Game 3 the other night, LeGarrette Blount is a regular at Celtics games, and so on.